It’s that time of year again and flea markets, yard sales and estate sales are popping up more than ever. This Memorial Day I was driving to my local Salvation Army for their holiday 50% off sale to pick up a gorgeous brass and ornately detailed vintage Victorian style head and footboard when I spotted a tag sale on the side of the road. Right away my eyes were drawn to the two, too-cute Drexel nightstands that were parked right out front for all passersby to see. 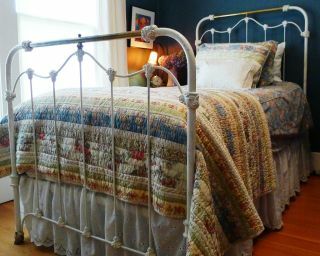 I couldn’t pass them up – but with my mind set on the vintage head and footboard I knew was at the SA – I decided that if the nightstands were still there on my way back (and the price was right), that I’d pick those up too. As luck would have it, my vintage brass head and footboard was still available at the SA so I grabbed the tags to purchase. I looked around for some vintage frames I’d seen the other day, too, but they were long gone. However, to my great surprise, I stumbled across an excellent condition Louis XVI arm chair that was hidden by a monstrous pile of books that had been placed on its seat. 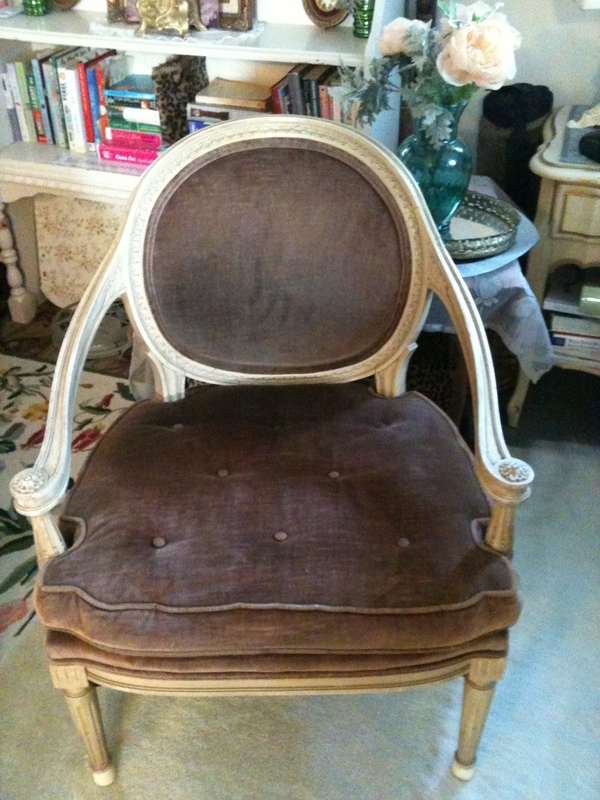 When I drove around back to pick up my furniture finds, what did I see by the dumpster but the second, matching arm chair to my Louis XVI love! I asked the man working if they were throwing it away, to which he replied, “Yep, take anything you want over there.” My eyes lit up at the thought of not one but two Louis XVI arm chairs. The one by the dumpster was still in god condition but a piece of the wood that was supporting a leg had come unhinged from its screw – nothing a drill couldn’t easily repair! And so, I left the SA on my way to the tag sale with a car full of great vintage finds. 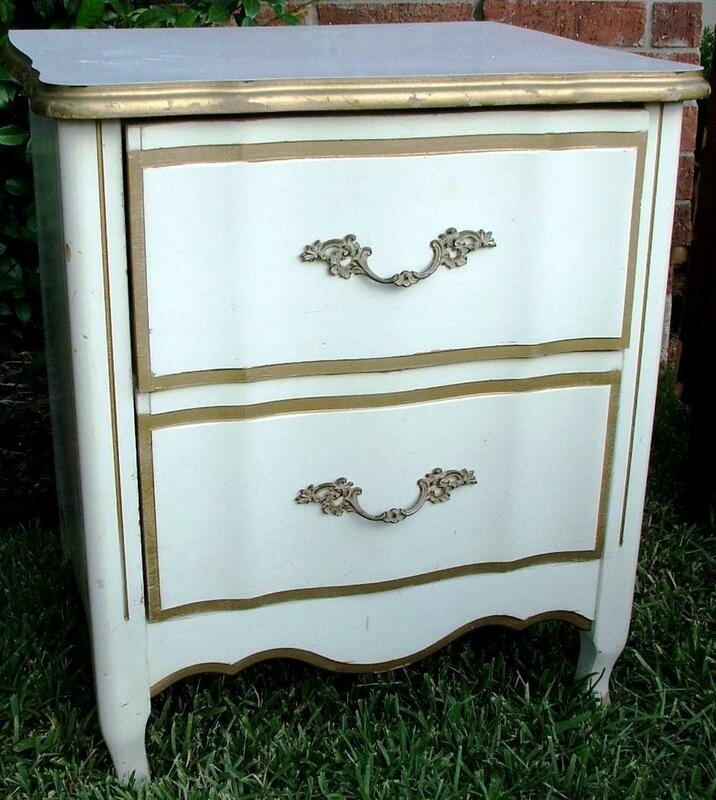 Having only spent maybe 15 minutes at the SA down the road, sure enough, “my” two matching French Provincial nightstands, in their signature white and gold, were still there in their spot by the side of the road. I couldn’t pass them up! Now I just have to decide, do I keep them? Sell them as is? Or paint them in my newly created chalk paint that goes on so easily, so smoothly and so beautifully. What do you think? Is it time for another transformation? I think I’m going to try my hand at painting at least one of them in a paint that I bought from Home Depot, Behr’s Sterling, to match (as close as I could) Annie Sloan’s Paris Grey. Did you get to any flea markets or yard sales this weekend? Share with me any treasures you uncovered recently. I’d love to see them!